After focusing on the health of the children and covering some major diseases the government has now shifted its focus to core issues. Basically the Atal Sneh Yojana will replace the decades old Annual School Program which was being carried out by the health and education departments. For this new scheme, the newborn children will be screened specifically to look for health defects and improve them. This is being launched wide across Gujarat. Under this scheme, the new born kids will be screened and given a treatment immediately if there is any illness found. It will be carried out for two long months. The objective of this scheme is to provide the children with a better health. According to experts, 2.60 crore children are born in the country every year. Out of them 17 lakh children have some form of illness or the other? Having a country with a large population of ill health individuals is going to make a lot of difference on the international platform. It is also going to make us weaker as a nation. The best thing that we can do as a country is to fight back these diseases. To do this, the government has come forward with Atal Sneh Yojana as an initiative. What benefit will the children get from this? In this scenario the new born children will be referred to a doctor. If the case is not very serious, then they will be referred to a local facility for the treatment. The children who are ill or born with some genetic diseases will receive proper treatment from experts. They will also receive follow ups after their treatment from family health workers. Also the new born babies will get a thorough health checkup from these health workers and the Rashtriya Bal Swasthya Karyakram (RBSK). This will be done at both private and government hospitals. If there are non institutionalized deliveries that have taken place, then the social health care activists and the RBSK members will arrange a proper screening for the child in their center. The Minister of State for Health in Gujarat has also announced that there will be a special cochlear implant surgery provided to the kids that are being born with hearing and speech impairment. This means that all kinds of diseases will be checked and treated by the doctors provided by the state government. One of the basic things that are needed to implement all of this is a good health care facility. Every district and every level of the local facility needs to have doctors and health care equipments available. 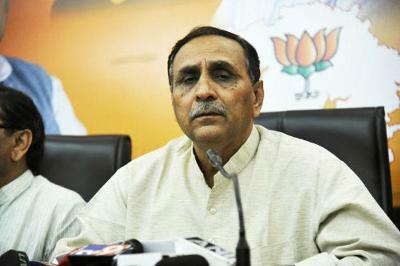 This is why the state government of Gujarat is planning to launch an air ambulance facility. This way the human life can be saved during the golden hours. Many patients (including newborn kids) die because they do not receive proper treatment at the right time. This is because even ambulances get stuck in traffic and the patient does not reach hospitals in time. Now as a part of new health policy, the government has announced that air ambulance service will be launched. Not just this, but to improve the infrastructure of health, the state government will soon train super specialty doctors. They will also focus on providing modern medical care to the remote areas like the villages where poor lifestyle leads to more illnesses among the newborn. Therefore it is likely, as mentioned by the minister, that the medical colleges will be doubled in the state in the next few years. This will again help the Atal Sneh Yojana to be implemented in a better way. To better implement the scheme, 25 new ambulances have already been launched in the state. What are some of the dire diseases kids suffer from? The children suffer from some very grave diseases such as complicated birth defects such as Down’s syndrome, congenital deafness, club foot, neural tube defect, etc. These are not all. There are some diseases, which are there present in the dormant state within the genes. By checking the kids at their tender age, the doctors will be able to better treat them. The Chief Minister of the state launched that all of the diseases that are detected at the maternity homes by the government, will be taken care of by the government.